New look for Hogs Back’s TEA, Hogs Back Brewery is launching a new design for its flagship TEA – or Traditional English Ale – with the aim of updating the brand while retaining the heritage which has made it one of the leading regional ales in the South East. The new TEA design will be introduced onto pump clips, bottles and POS from early July. It retains the iconic and widely-recognised Hogs Back hog, but has been pared down to create a cleaner and more impactful look. The new packs will be advertised in a press and poster campaign later this year, designed to bring TEA to an even wider audience. Hogs Back managing director Rupert Thompson said, “Making changes to TEA was something we approached with great caution; drinkers across Surrey and beyond have huge affection for the brand and its popularity has been integral to the brewery’s success since its foundation 25 years ago. “However, the character of Hogs Back Brewery has evolved over the last few years as we’ve launched new beers such as Hogstar English Craft Lager, London’s Outback and Montezuma’s Chocolate Lager, together with new packaging formats including keg and cans. “Updating TEA, our most widely-distributed brand, immediately modernises the brewery’s image overall, and ensures all our beers communicate our positioning as a contemporary, innovative craft brewery with a rich brewing heritage. TEA was the first beer to be brewed at Hogs Back Brewery. It was an instant hit and has remained largely unchanged, other than moving from two hops to a single variety; it is now 100% Surrey Fuggles. 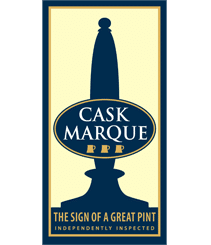 It is a full-bodied bitter, brewed in small batches using English malt carefully balanced with all the Fuggles hops grown locally, either in the Hogs Back hop garden adjacent to the brewery, or at Puttenham, just four miles away. 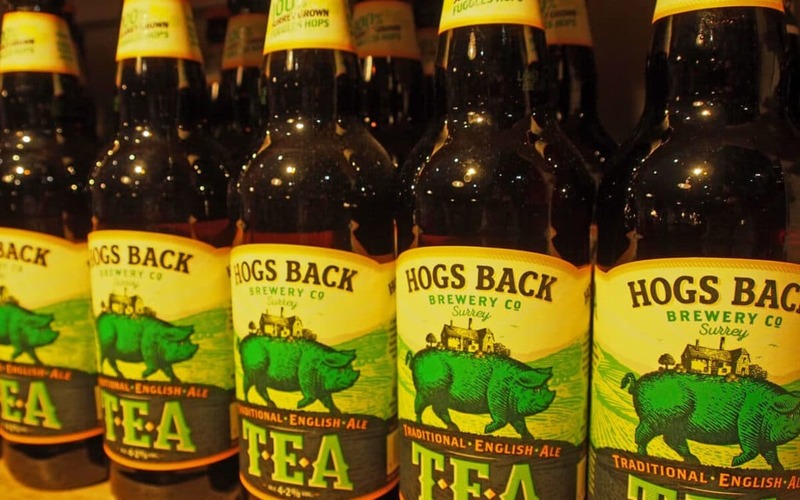 TEA is one of the most popular and fast-growing beers in the South East and Hogs Back Brewery continues to expand its presence in this key heartland, enjoying 22% year on year volume growth. Distribution of TEA is at an all-time high with stockists including Enterprise, Mitchells & Butlers, Youngs, Greene King and Punch as well as independent free trade outlets.